It’s our dear loved ones who make a home a real home. This is not always the case when it comes to the place where we were born. In PE&C Argentina, Abengoa’s social action program, we are blessed to be able to have three homes or “casas abrigo” (literally “shelter homes”): three warm and special places that are permanently available to children and persons with disabilities who have yet to find their own home. It is often the case that when we are engaged in our daily activities (work, studies, errands and other obligations), difficulties often arise that means that both the time and the distance that we spend away from our home and our loved ones increases. These ones, who are able to bring a sense of home to the place where we live with a simple gesture, can make all these difficulties and obligations remain outside the front door, leaving us with a place all to ourselves that is filled with energy and good cheer. This desirable family situation is not always found in the place where people are born. But it does exist! Somewhere in the universe there is warm and special place for each one of us. ” In the “hogares de abrigo”, all the necessary warmth and attention is provided for the children’s growth and development. 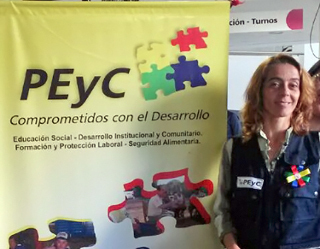 In PEyC Argentina, the social action program that Abengoa runs in the country, we are blessed to be able to have three homes that address these concerns: three warm and special places that are permanently available to children and persons with disabilities who have yet to find their home. In the “hogares de abrigo” all the necessary warmth and attention is provided for the children’s growth and development, in addition to the fundamental values and habits right up to the time that they can return to their families or be sent to foster families, depending on what the judicial system dictates. 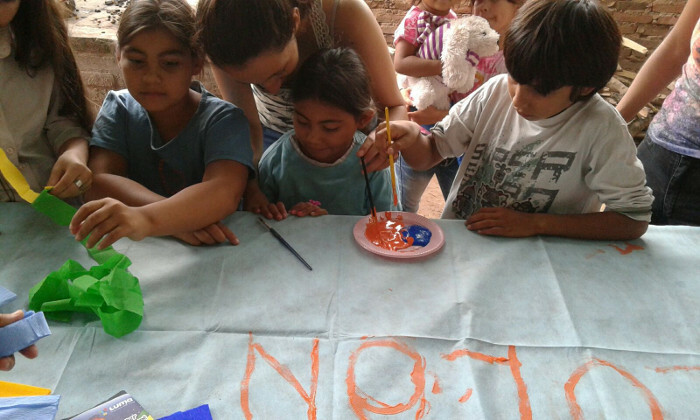 Two children’s homes have been set up in the cities of Monte Quemado and Quimilí (Santiago del Estero, Argentina), for young ones in family situations that are extremely problematic or, even for those who are victims of different types of violence which therefore makes living with their parents and relatives impossible. A “hogar de abrigo” has been built in the city of Alderetes (Tucumán, Argentina) for those with disabilities and who find themselves alone and unable to meet their basic needs. In this home, unlike the others, residency is permanent. There is still a lot to do and a long way to go, but the first step to defend and respect the rights of children in vulnerable situations has been made. Progress is being achieved hand in hand with dedicated volunteers, both in action and heart, but always under the guidance of the Sisters of the Cross. María Cecilia Chicote, PE&C Argentina Coordinator.